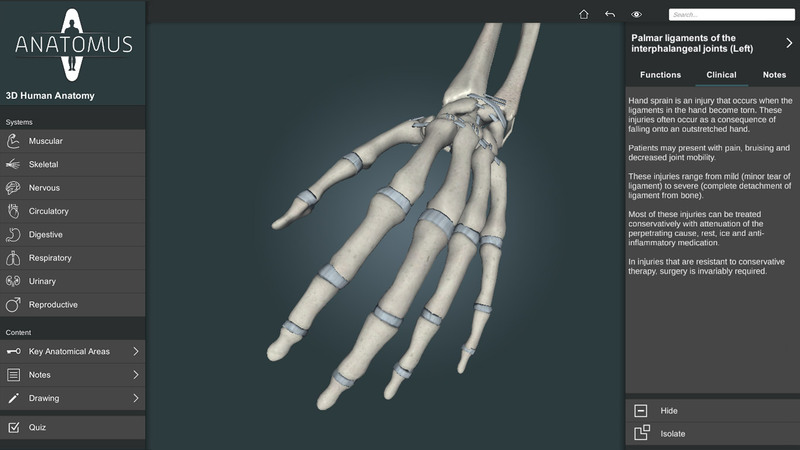 Pocket Anatomy becomes Anatomus - the ultimate anatomy platform. For the last year, we’ve been working on something huge – a new educational platform for current and future doctors. We also want to help medical professionals communicate with patients and provide them with their ultimate anatomy reference content. 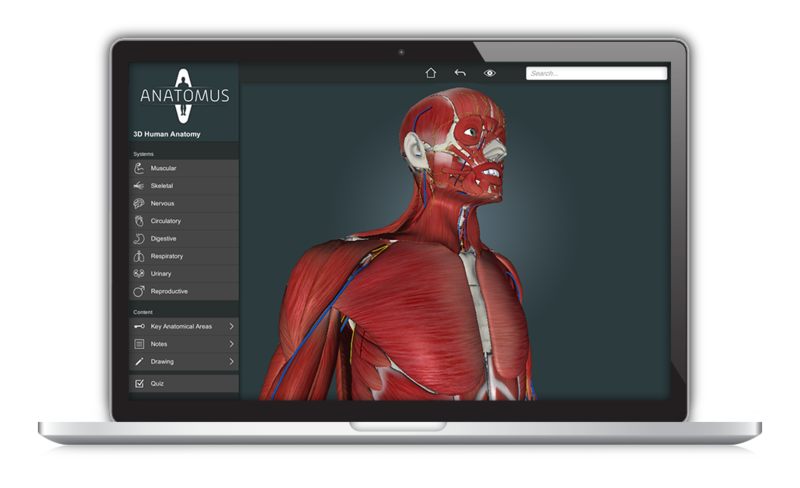 Today, we are proud to introduce you to our new solution called Anatomus. Anatomus is more than an app – it’s a means to access detailed information on the human body, on any web-enabled device, in any location- in your office, hospital, classroom or home. With our new platform, we are expanding far beyond than the Pocket mobile app space we were in.We are bringing the same great learning experience out from your pocket and into other personal and shared learning spaces. We needed a new brand and a name that would support and represent this. That’s how Anatomus was born – a strong and powerful entity that represents the capabilities of our new platform and application. What’s exactly so amazing about Anatomus? Anatomus overcomes all the limitations of our previous creation. 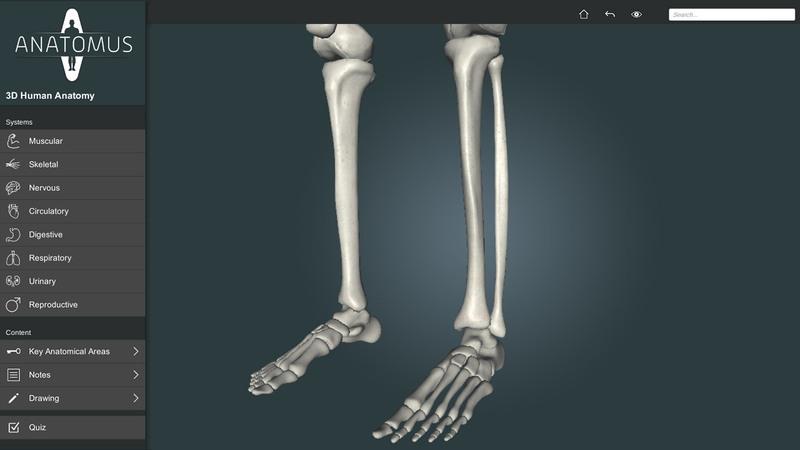 The new 3D model was developed by our internal team from scratch and you can now isolate any part of the human body without other elements obstructing your view. We’ve added a lot of new features and functionalities that were not available in PocketAnatomy and it was impossible to add them due to technical limitations. Because it’s our own model, we can now provide institutions like universities and hospitals with access to its elements so it can be easily used in teaching and learning environments. Anatomus will not be only about anatomy but also about pathology. We’re already working on providing you with a module so you can learn and explain common diseases, illnesses and common health conditions. Additionally, Anatomus will soon grow into an educational platform for doctors, nurses and medical professionals where they will be able to improve their knowledge through online learning modules. Same for students – soon you will be able to build your own quizzes and tests based on your curriculum. 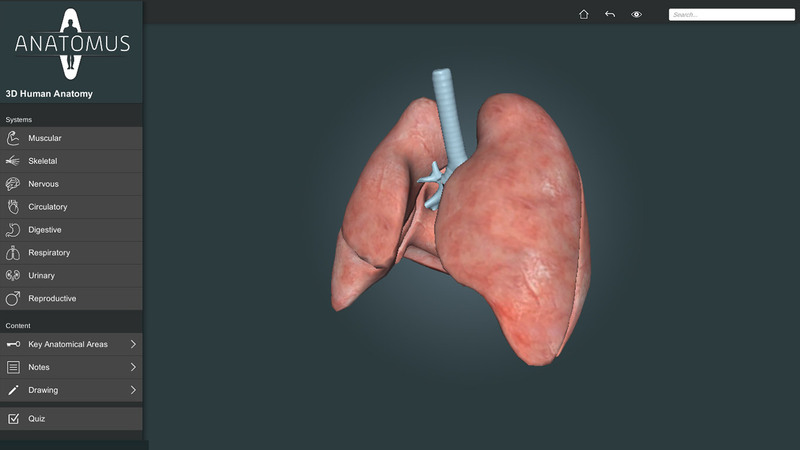 We have a lot of features planned so stay tuned and in the meantime trial Anatomus for free! Click here to Sign Up! What does it mean to me, as a PocketAnatomy user? We’re working hard to take Pocket Anatomy to the next level so stay tuned. We know how much our community loves it and we will make sure to provide you with even better pocket experience as soon as possible. Why there’s only male anatomy available? We wanted to share Anatomus with you as fast as possible and we’re working on female anatomy just now. Will Anatomus work on my phone? Not at the moment, but we’re planning to enable Anatomus for mobile devices this Summer. Can I try the new Anatomus software for free? Absolutely! 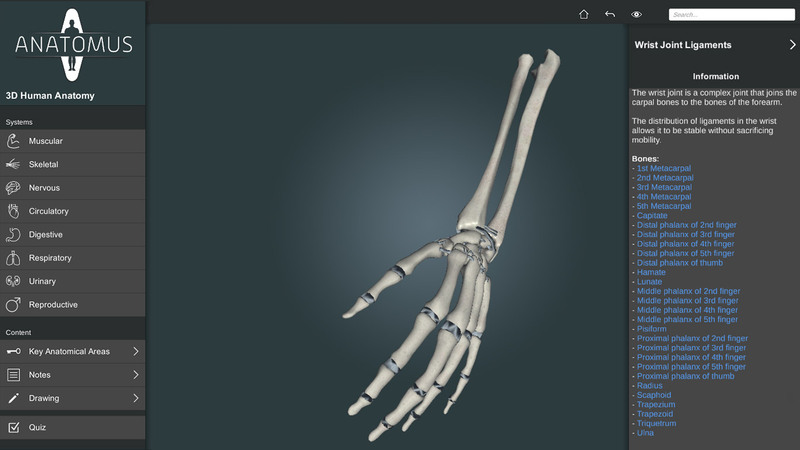 Sign up on our website and play with Anatomus for your free for 7-days. You can cancel anytime. Is there any special offer for me, as a PocketAnatomy user? Of course. We appreciate all the users that helped us to get where we are and that’s why you can subscribe to Anatomus with a discount. Reach out to us through chat and we will set you up ASAP. Copyright © 2009 - 2019 Anatomus. All rights reserved.